Headquarters in Lecompte - Louisiana Garden Club Federation, Inc. 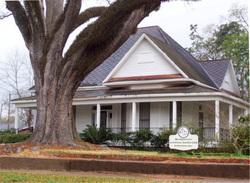 The Dr. E. L. Henry home was built by James Ward Hardy for his daughter, Patricia, and deeded to her on her marriage to Dr. E. L. Henry in 1899. 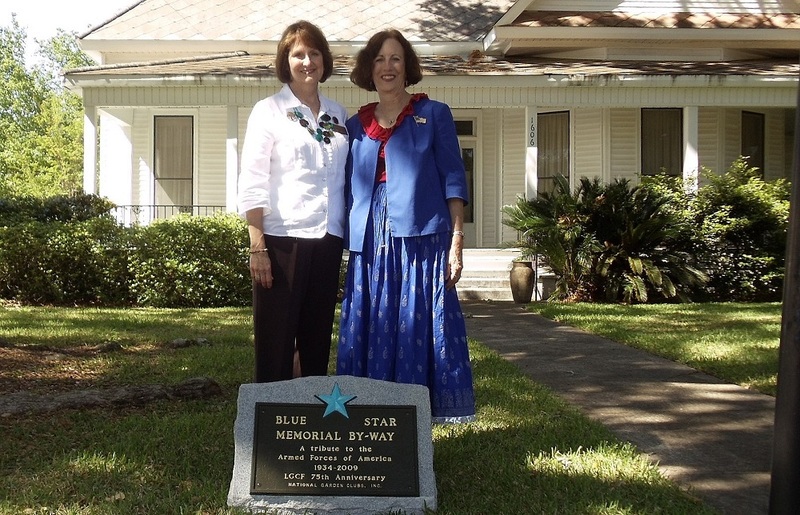 Sometimes after 1917, Dr. Henry died and Patricia married Dr. Benjamin Blake. In 1921, he built a sanitarium, now a modern and thriving clinic, next door to the house. The home typifies a Louisiana Plantation Cottage. It is centrally located in the state of Louisiana, on Bayou Boeuf, in the small town of Lecompte, which is located on Highway 71 about 15 minutes south of Alexandria. 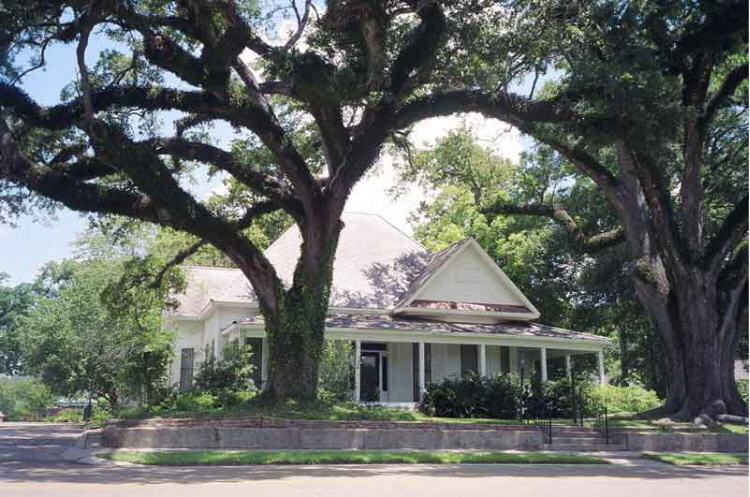 Both century old Live Oaks are members of the Live Oak Society; one is named for Dr. Edwin Stephens, founder and one for Lucile Brown, 1st LGCF Live Oak Society Chairman. 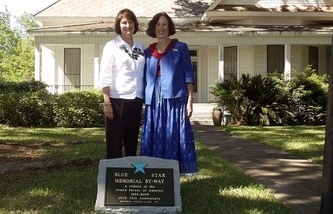 From 1971 to 1977, LGCF members held raffles, auctions and other fundraisers to raise the monies to purchase the house from the late State Senator Cecil Blair. Club members also saved Betty Crocker coupons to furnish the kitchen. 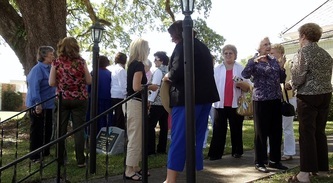 The walls are of double cypress construction and the floors are the original cypress boards. A board gallery once surrounded three sides of the cottage. Through the years, a portion of the gallery was enclosed to form two large bathrooms, a den, and a large closet to house all LGCF records. 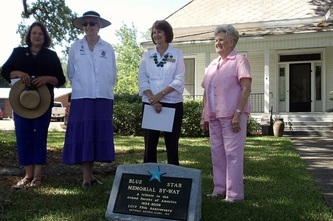 It is furnished with period antiques and art donated by different garden clubs and individual garden club members. 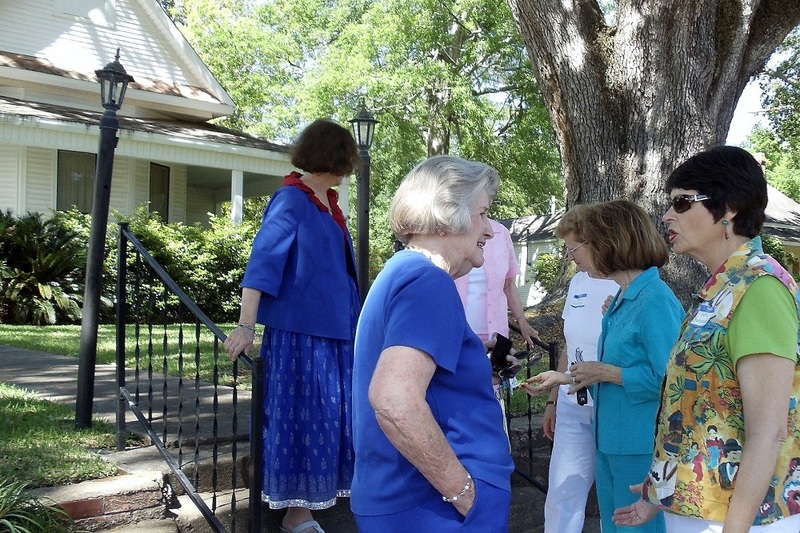 The home features a wide entrance hallway where photographs of all the past LGCF Presidents greet you. The sitting room boasts of one of the two fireplaces in the home. Double doors open into a formal dining room featuring a stained glass Louisiana iris hanging in the window. It was designed and donated by a Club Member. Other artwork includes a painting of the Carolyn Dorman Magnolia and a pen and ink drawing done by one of the LGCF Scholarship recipients. 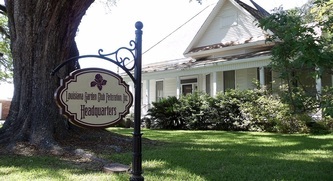 Each past state president has added her personal touch to the home and garden…from the birdbath, wrought iron bench and plantings in the side garden to the bench in the back garden where you may want to have a club meeting and brown bag lunch, or just sit and reflect.